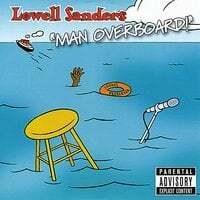 Welcome to the Official Lowell Sanders web site! Buy individual tracks or the entire CD online! Make sure to visit my online store HERE! Check out my full event calendar HERE ! Hey all, please make sure to follow me on Facebook,Twitter and Instagram. See you soon in your city or The Mirage in Las Vegas where I perform regularly with Tim Allen or one of Carnival Cruise Lines Fun Ships.